Whatsapp ni moja ya mtandao wa kijamii ambao una watumiaji wengi ambao kwa mujibu wa play store iinaonyesha kuwa Whatsapp imekuwa downloaded zaidi ya 1 billion. Whatsapp imekuwa moja ya njia inayotumiwa na watu wengi kuwasiliana pamoja na kutumiana picha,video na document. Kumekuwa na kiu na wimbi kubwa la wadau wa Blog hii wakiniuliza kama wanaweza kutumia namba mbili za whatsapp kwenye simu moja.Kutokana na hali hiyo basi kama kawaida yangu nitawaonyesha hatua kwa hatua ili nanyi muweze kutumia multiple accounts kwenye simu zenu. If you want to start scanning codes with your smartphone, then you've come to the right place. Here's where we show you how to scan QR and barcodes with your Android smartphone. Your smartphone has the ability to read both QR codes (which automatically take you to a website URL) as well as scaning a barcode to bring up product information such as price comparisons and user reviews. All you need to do is download the right app and then simply point your smartphone camera at the codes. First of all we should say that there are tons of apps out there that claim to do this, and a lot of them are very good. For the purpose of this tutorial we have chosen two popular apps that we are familiar with. This first thing you are going to need to do here is go to the Google Play store and download the free QR Code Reader app – the file size should be around 3MB depending on your smartphone. Launch the app. From here it couldn't be easier, all you need to do now is point your smartphone's camera at the QR code you want to scan and the app will do the rest. Assuming you want to scan barcodes to find out information and/or a product's price comparison follow these steps. Go to the Google Play App store and download the app ShopSavvy. This app should be less than a megabyte, depending on your smartphone. Next you will be asked to create an account with ShopSavvy. It's entirely up to you whether you want to do this or not, you can skip the next step if you want to. 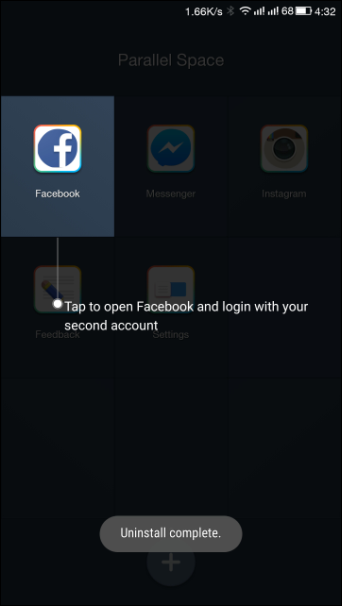 Once you have created an account or skipped the step, you need to click on the scanning icon found in the top right of the app. From here you simply need to point your smartphone's camera at the barcode, and the app when the look up the item and present you with a price and other product information. There are plenty of apps available in Google Play Store for Android which can control and operate your computers remotely either using Wifi or Bluetooth. One of the best apps available for this purpose is WifI Mouse. 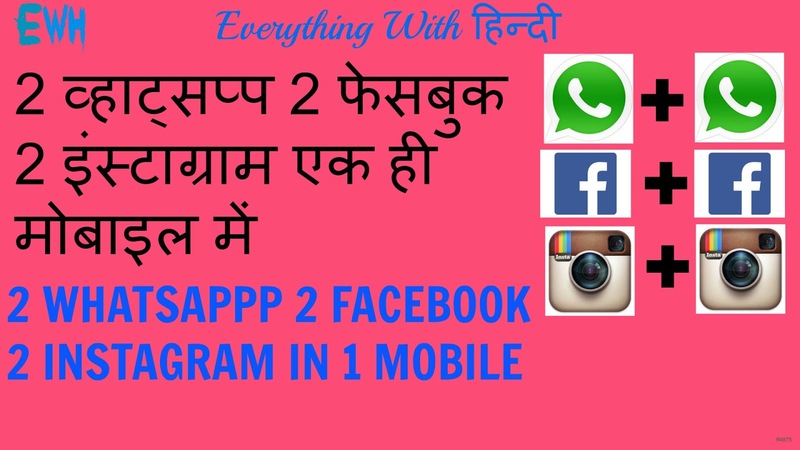 It is a very light weight app which will consume less than 3 Mb of your phone and will provide you an attractive and user friendly environment to access and control your computer’s desktop remotely using Wifi service of your phone. Wifi Mouse has ability to transform your phone into a virtual wireless mouse or keyboard instantly. WiFi Mouse is a free app and supports speech-to-text as well as multi-finger trackpad gestures to make your work easier. WiFi Mouse allows you to control your PC, MAC or HTPC effortlessly using a local network connection. All these outstanding features makes this app one of the best from its class . 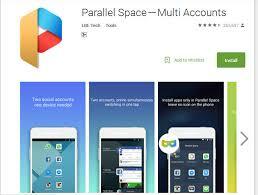 It has been downloaded and installed by more than 1,000,000 Android users worldwide and also rated as 4.4 out of 5 by 9,997 happy users. It is compatible with almost every Android device as it requires only Android 2.1 or above versions. Android and Windows phone are two great mobile operating systems that run on smartphones and tablets. 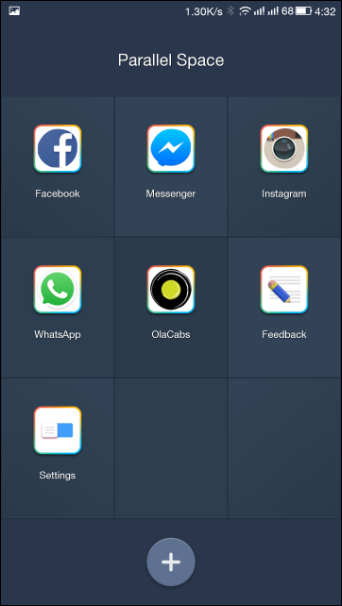 They are both feature-filled and polished mobile operating systems at present. If you are unsure about which one to choose between Android and Windows-phone smartphone, then this article will help you better understand the difference between Android and Windows Phone platform so that can help you to decide which one to go for. Android is an open source platform, meaning that the operating system is available for modification by manufacturers to suit their respective needs and phones. In contrast, Microsoft Windows Phone is closed-sourced, meaning that it is owned and managed by Microsoft and developers do not have direct access to the operating system programming code. The another difference between android and windows phone is their user interface. While both rely on touchscreen interactions, Android Jelly Bean features an interface with multiple home-screens that can be fully customized with widgets and shortcuts, while Windows Phone 8 has a single home-screen populated with Live Tiles. Live Tiles on Windows Phone operates in much the same way as widgets on Android, allowing you quickly access to an app. Both interfaces are intuitive to use, although there is a bit of a learning curve if you are completely new to both of these mobile OS. In terms of handsets, Android is ahead than the windows phone. They are a huge number of Android phones offered by multiple device manufactures like Samsung, LG, Motorola, HTC, Huawei, etc. On other hand, windows phone has been offered by only a few manufactures with limited handsets. However, it doesn’t mean that the Windows phone is not better. Manufactures like Nokia and HTC are known to make high quality mobile device for Windows phone. 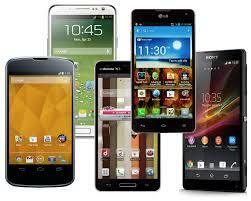 They both are high-quality handsets but if you are looking for plenty of options then you will get them in Android. As for apps, the Android clearly wins with over one million apps where as the Windows Phone have only about 160,000 apps with a few 25,000 being added every few weeks. But needless to say, Microsoft is trying everything it can to increase the app market. In terms of security, windows phone is more secure than android. The reason for this is that windows phone doesn’t allow installation of apps from unknown sources. You are only allowed to install applications which are available in its app stores. While in Android, you can install any apps from outside of Google play store. So people tend to add more cracked softwares which carry a lot of viruses or malware. However, you can prevent it by never installing any apps from unknown sources. These days you can use your Android phone to do just about anything and scanning documents is no exception. With the phone’s built-in camera, you can easily scan any documents by photo shooting. While taking a photo of your document may suffice for most, but it doesn’t offer OCR (Optical Character Recognition) capabilities which converts scanned paper documents, or images into editable and searchable data in accessible formats like PDF file. And therefore, you need the help of a third-party app which can scan an image into a PDF file. One of the most popular mobile document scanning apps is Camscanner. It is a powerful android app that enables you to scan and digitize documents, images, and anything you want using your mobile phone camera. Simply take a picture of any paper documents, and the CamScanner can auto-crop image, enhance image quality and create a PDF file. You can change the scan quality and brightness to export the best possible result. The scanned documents can be shared via Email, uploaded to Cloud, and printed via Internet. You can also manage them by tagging or searching. CamScanner is available in Free and Paid version. The free version watermarks your scans and has advertising in the app. The paid version removes the watermarks and advertising. There is also a tablet friendly version of this application, called CamScanner HD, which turns your Android tablet to a portable scanner. It supports tablet with Android version 3.x and higher. Make annotations on documents with a full set of editing tools. Also adding customized watermarks are made available to mark your own documents. Want to get feedback on your documents? Invite friends or colleagues to collaborate on documents. They can view, comment and exchange ideas on documents in groups. If you want to protect confidential contents, you can set passcode for viewing important documents; also, while sending document download link, you can set password to protect others from seeing it. When you have plenty of documents, you can use Tags to categorize and easily find them. In addition, OCR for Search helps you find texts inside image and notes. Just enter one keyword, you can quickly find the document you want. Sign up to sync documents on the go. Just sign in with your smartphone, tablet or computer (visit CamScanner website), and you can view, edit and share any document. Losing your smart phone can be a big problem. Phone these days is not only a mobile device that can be used for various tasks, but it is also used to store various types of information, such as contacts, messages, credit card numbers, passwords, and other valuable infos, and therefore, losing such an important device can be a real big problem. If you’ve lost your Android phone, don’t panic because Google has released a new service called Android Device Manager which will help you to locate your phone even if you haven’t installed a tracking app before it was lost. The best thing about it is that you don’t need to install an app to be able to track your devices. The only requirement is that your lost device is connected to your Google account, GPS services enabled and connected to the internet. 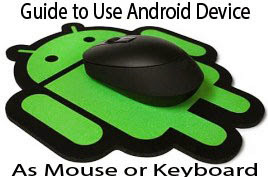 First, visit www.google.com/android/devicemanager on your computer web browser and log in with your Google account. You may get a prompt asking you for permission to allow Android Device Manager to use location data. Click on the “Accept” button to continue. Then a map will pop up with some information about your device. If you already have a device with GPS/location services turned ON then it should automatically appear on the map otherwise it will report that the location is unavailable. So it is a good time to head into your device’s location settings and make sure your GPS services are enabled. GPS doesn’t drain your battery unless it’s actively being used, so it wouldn’t hurt to leave it on for good. In addition to tracking your phone location, the Android Device Manager also allows you to ring a lost phone, remotely lock the device, and erase all your data. Select the ‘Ring’ option, and your device rings at maximum volume, even if it’s set to vibrate or silent. This is particularly helpful if you’ve lost it somewhere in the house. Clicking on ‘Lock’ option will bring up a dialogue box that lets you remotely create a new password for the lock screen while the ‘Erase’ allow you to wipe all data from your device and return it to factory settings. If you are sure that you can’t get your phone back and you have sensitive information on it, then the Erase option function will come in handy. After you click Erase, a pop up will prompt you to confirm the action and tell you that the procedure will erase all of the data from your device and reset it. If you confirm the erase, the device erases itself and reboots. Once your device has been wiped, you will no longer be able to access it from Android Device Manager. Also keep in mind that a remote factory reset may not wipe external SD memory cards. To be able to use the Lock and Erase functions, you’ll need to enable Android Device Manager on your Android device. (If your device is already missing, then it is too late). To activate it, go to the Settings -> Security -> Device Administrators. From there, check the checkbox next to Android Device Manager. You’ll be prompted with the following screen. Tap Activate, and you’re all set. Android Device Manager won’t work for devices that are powered off, but actions you initiate while the device is turned off will be performed as soon as the device is back online. Ni huduma nzuri na yenye gharama nafuu sana sana,kiasi kwamba unaweza kusema ni bure kutokana na gharama ndogo inayotumika ukilinganisha na gharama halisi kwa kutumia mitandao tuliozoea,kinachofanyika ni kutumika mtandao wa internet katika simu yako badala ya salio uliloweka. ni tofauti na skype,tango na nyengine,kwani inatosha nguvu ya 2g kufanya umsikie mwenzako vizuri kabisa hata kama yupo u.s.a.
na mtwangie kwa kutumia alama ya''call'' halafu urudishe jibu hapa hapa ipo vipi?! PERMANENTLY unlock HUAWEI E303 modems by updating its firmware. SERIKALI YATAKIWA KUKAMILISHA UWANJA WA NDEGE WA KIMATAIFA WA SONGWE. BALOZI WA IRELAND ATEMBELEA MKOANI SINGIDA NA KUAHIDI KUSAIDIA UJENZI WA MABWAWA.